I want to change my headlights from stock to green. I already have a HID conversion kit thats green d2s bulbs. I called a dealership n they said they dont do that. I called a specialty shop in minneapolis and they said you cant change bulbs color cause it already has a standard hid ballast in it. So why cant i just change the bulbs? It already has the ballasts in it so cant i just swap the bulbs and the ballast will be the same? 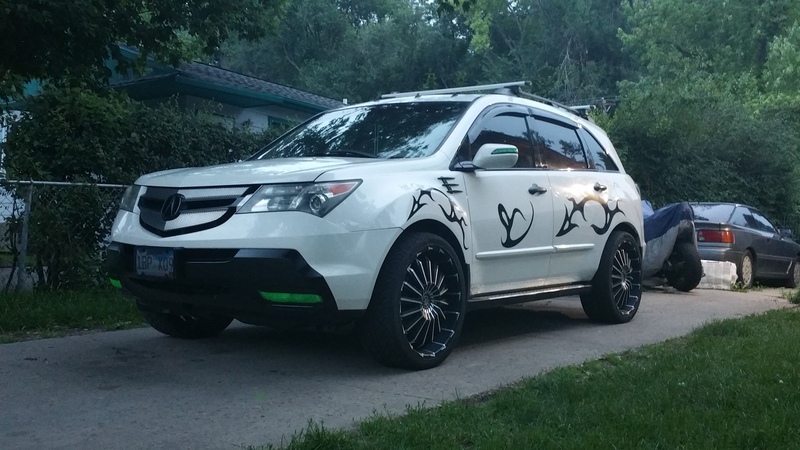 I know it can be done because i have seen my 07 mdx with blue purple and yellow lights online. Did the fog lights and drls and they look awesome and actually much much brighter and are so bright i dont need headlights on but thats illegal. know some people say dont change for visibility but i can see better with my hid fog lights than i can with my headlights. Someone please tell me a specific way to convert..thanx so much!